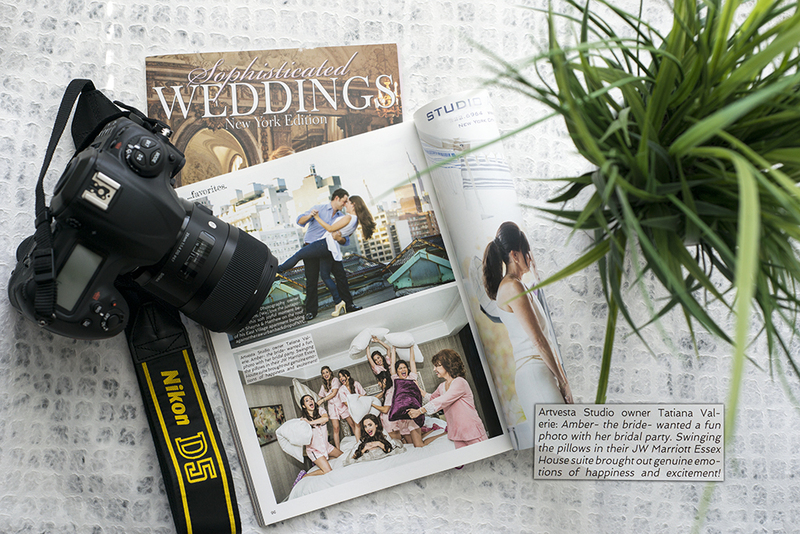 Tatiana Valerie at Artvesta Studio is featured in Sophisticated Weddings 2016 issue. From the photographer: Amber-the-bride wanted a fun photo with her bridal party. Swinging the pillows in their JW Marriott Essex House suite brought out genuine emotions of happiness and excitement!